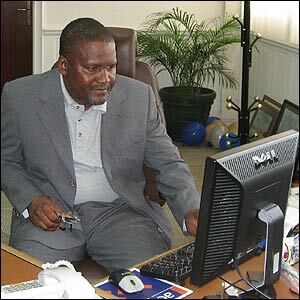 Worth an estimated $2.1bn, Aliko Dangote is one of the richest men in Africa. The Dangote Group, which he started in 1977, trading in commodities and building materials, is now a multi-billion dollar conglomerate spanning West Africa. Today, the business covers flour, sugar, pasta, clothing and cement which made Dangote Nigeria's first billionaire in 2007, according to Forbes magazine. 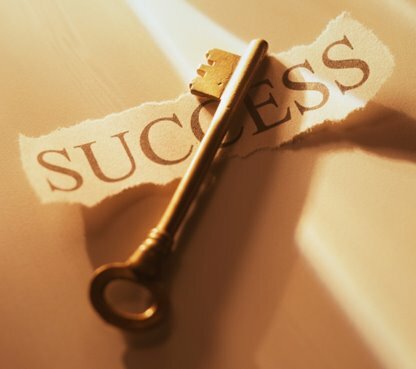 Forbes said Dangote, 53, began his business at the age of 21 with a loan from his uncle. He studied business studies at Al-Azahar University, Cairo, Egypt. Dangote said one of his cement factories, 30 minutes from Lagos, is already one of the largest in the world, and there are plans to double its capacity. He is building another cement factory in Ibese, with workers from Nigeria, China and India. Dangote is now one of the largest private sector employers in Nigeria, with a nationwide workforce of 12000, a figure that is set to rise with the opening of new factories. Forbes puts Dangote at number 463 on its 2010 list of the world's billionaires, estimating his fortune to be $2.1bn. It said that Dangote's commodities had helped him survive Nigeria's financial meltdown last year, although his fortune has diminished from $3.3 bn in 2008. Dangote told CNN he was motivated to create an African success story and to create employment in his home country. He said he was proud of his achievements: "I feel great. I'm feeling fulfilled that at least you are doing something great for your country. His drive is indisputable. Dangote says he works 12-hour days which always begin at 5am. Despite the trappings of wealth -- he has two private planes and said he can't remember when he last flew on a commercial airline -- Dangote, married with two children, according to Forbes, says he lives a relatively simple life. "I like exercising a lot," he said. "I go to the gym almost every day and I do about 15 km at least 6 times a week." Dangote also says he is committed to improving the conditions of those living close to his factory, as part of his philosophy of corporate social responsibility.